It seems totally counter to common sense, but that's what the survey says. It seems like the most common-sense argument you could make: if wolves are killing livestock, than the fewer wolves there are, the fewer cattle, sheep, or goats the wolves will kill. Despite all the back-and-forth on the issue of grey wolves, that connection hasn’t even really been questioned; it seems too obvious to even bother testing. But bother some scientists did, and the results are totally counterintuitive, enough to throw the entire debate off-kilter. This new survey, conducted by Washington State University (Washington has a small population of wolves itself), looked at the past 25 years of data from the U.S. Fish and Wildlife Service in Montana, Wyoming, and Idaho to see whether shooting wolves really does decrease the number of livestock deaths by wolf predation. What they found is a little bit shocking: killing one wolf raises the chance that your head of cattle will be killed by around 6%. Killing 20 wolves results in the chances of a cattle being killed by a wolf doubling. What the hell? The researchers don’t really know why this is the case; all they know is that there is a strong correlation between killing a wolf and an increase in nearby wolf predation. 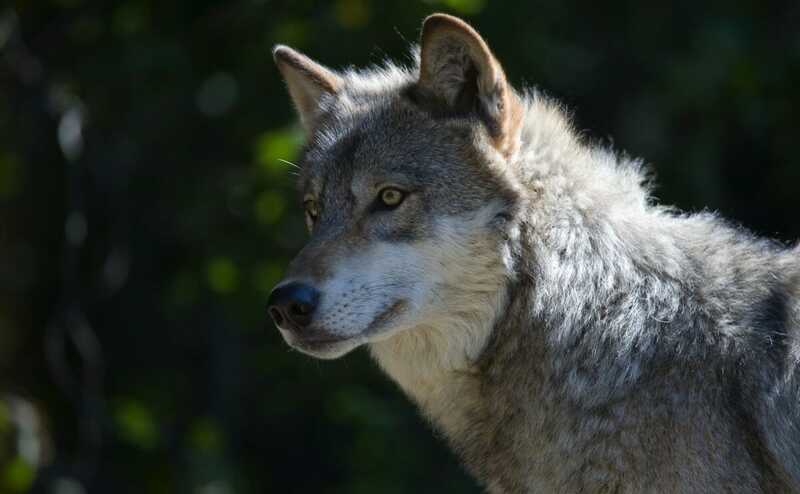 The theory they put forth, in a release from Washington State University, is that killing an adult wolf can disrupt the entire (complicated) social system of the grey wolf pack. They suspect that killing adult wolves may end up locking their offspring to the place where they were killed: without parents to keep them sexually distinct and roaming, the way they normally would, pups may settle down prematurely, having their own pups earlier than normal, and sticking to the place where they became independent — the place where their parents were killed. And the most prey to be found in that place, given that humans were settled enough to want to shoot wolves there, may be livestock. It’s a pretty complicated theory, to be sure, but there’s even more evidence to back up the findings of the survey. Last November, the same team published research asking the same question of mountain lions: does killing mountain lions really reduce mountain lion predation of livestock? And the findings were the same: nope, the predation actually went up. The only way that killing wolves would have a negative effect on wolf predation of livestock, says the survey, would be if over 25% of the entire wolf population was killed, which would dip the population immediately into the endangered species camp and probably set it on a fast track for localized extinction. And that seems unlikely to happen. Will this survey affect wolf legislation in this country? We’ll have to see, but it certainly seems like it should.